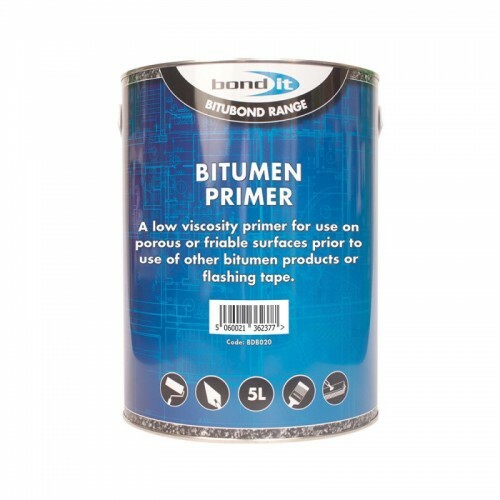 A quality grade, highly penetrative, bituminous solution for priming surfaces prior to the application of bituminous materials and flashing tapes. Heavy duty formula making it suitable to prime concrete roofs and floors, cementitious screeds/renders, bitumen felt, weathered bitumen, mastic asphalt, weathered, corrugated iron and steel. Application by brush, squeegee or atomised spray. See Technical Data Sheet for full application details.